In our office, we love promotional flashdrives. As a form of promotional merchandise, they rock!!! Aside from our business interest in 2014’s hottest promo product, each and every one of us have a heavy reliance on them every day, whether at work, in the car or at home. Whether you buy a recent car, a TV, entertainment unit, coffee machine (yes, ours has a USB input and a network connection – so we can order a coffee from our desk then collect from the kitchen – how lazy is that?!) 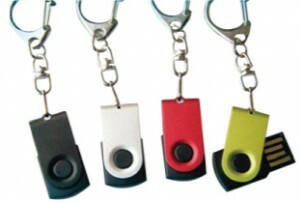 , you’ll have an instant need for a flash drive. In the car for instance, we use usb sticks/flash drives to contain music and podcasts. When we switch on the TV, interchangeable drives can hold movies or a TV series – if we haven’t already wifi’d the set to our modem/router. Our bookkeeper stores an eclectic collection of flashdrives with her clients’ MYOB files – we donate many of ours to her for this purpose. We prefer electronic transfer for artwork in our business but are still happy accept a flash drive in the mail – when it comes to really large files, they beat download time hands-down. Also, some of our partners feel a sense of security transferring files and documents on a physical products rather then email – it’s a bit old fashioned but the way some of us still like to operate. In short, if our office utilises promotional flashdrives, the chances are your office has a definite need too, and your clients an customers also. This entry was posted in business, desktop items, technology and tagged business, giveaways, promotional products supply chain, technology. Bookmark the permalink.